During this workshop, the opportunities are endless. Come and join Georgie and I for this very special workshop, both of us are top of our respective fields in photography and we both cross over into both genres of both landscape and birds/wildlife and have won many awards between us. We will be on hand every step of the way to help you become a better and more intuitive and well-rounded photographer. 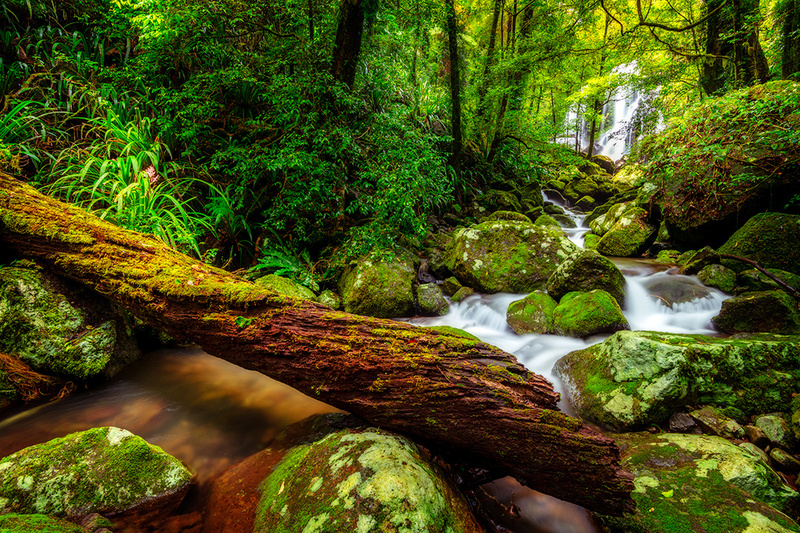 Lamington National Park is a bird paradise and without a doubt one of Australia's premier birding destinations, with over 240 species of birds recorded. Birds we can expect to easily see and photograph around O'Reilly's Retreat alone include Satin Bowerbirds, Green Catbirds, Crimson Rosellas, King Parrots, Lewin's Honeyeaters, Eastern Spinebills, Australian Brush-turkeys and Superb Fairy-wrens. However, we will also be heading further into the park seeking to photograph the rare Albert's Lyrebird (this area hosts the largest single population of them) as well as the Paradise Riflebird, Noisy Pitta, Rufous Scrubbird, Eastern Whipbird, Australian Logrunner, Russet-tailed Thrush, Regent Bowerbird, Wompoo and Rose-crowned Fruit-Doves and many other beautiful but elusive sub-tropical rainforest species. We will be starting the trip off with our very exclusive guided walk with a ranger who will introduce us to all the nature around the area and best places to photograph it. We will also be doing the Birds of Prey Show exclusively. Georgie will be on hand to help and guide you. There will also be 2 group critique sessions which will include some post production tips and tricks. Drink in the vistas from your rooms and from the dining room there are shots to captured everywhere and in close proximity to your accommodation. For the more adventurous, we will be visiting most of the major local attractions as well as one of my own personal favourite spots. Many of these locations offer some great opportunities to photograph a vast array of different landscapes, natural features, colours, stunning fungus, trees, ferns and moss and of course lets not forget all the waterfalls including Elabana Falls and Moran Falls. We will visit the various locations at key times of the day (or night) ensuring you have every opportunity to take advantage of the best light and natural features of the area whilst learning new techniques. Julie will be there to help and guide you. There will also be 2 group critique sessions which will include some post production tips and tricks. You will need to have a reasonable fitness level for this side of things. The itinerary suits most people with 2 shorter walks, however, to really experience the diversity and the waterfalls we will be doing longer walks for the explorers. Please keep in mind if you want to get the best out of this trip you need to do some walking and be capable of this. We will be doing the circuit walk which is about 12km and I am contemplating another walk which is a about 15km over the course of our trip depending on the group overall. The tracks themselves are generally good and not too steep but keep in mind this is a mountain, we will be crossing shallow waterways and traversing a few rocks to get into locations. You will be in shallow water for some shots and it can be very slippery at some locations. You must be reasonably confident with this although there will be help on hand if required. If you do not like walking far or you are unable to walk far due to injuries that impair you this part of the trip may not be for you. If you would prefer to just concentrate on birds and the short rainforest walk thats fine too but you will be left to your own devices when we all venture out on our bigger walks. The other option is starting the bigger walks and when you feel you have had enough or getting too tired you can head back preferably with someone else. We will do our best to try and accomodate everyone. If you have any concerns please contact me (Julie) via email before booking to discuss further. Guidence by 2 highly achieved photographers in their respective fields. Small groups only for the best results. 1 on 1 tuition in the field. No one gets left out. Everyone has a chance to shine even the quiet ones. Post production critique sessions included using lightroom.